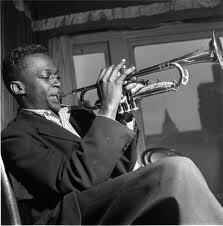 Born in 1926, Miles was raised in East St Louis, Illinois; his father was a dentist and farmer. He learnt first the violin, then the trumpet: his clear vibratoless tone was a style of playing indigenous to St Louis, although a style generally out of favour in the 1930s and 1940s. In the early 1940s he played with local dance bands and sat in with various visiting groups, including Billy Eckstine’s, where Davis first met Dizzy Gillespie and Charlie Parker. Offered a place by the Juilliard School of Music, Miles travelled to New York ostensibly to study music, but he soon found his way to 52nd Street to play with the up and coming bebop stars. He was recorded first in April 1945, and later that year in November with Charlie Parker, whose quintet he was to join. He worked with Parker until late 1948. Gerry Mulligan and Gil Evans (then employed by Claude Thornhill as an arranger) came in to Miles’ orbit, and together they formed a nonet, which included saxophonist Lee Konitz, drummer Max Roach and pianist John Lewis. They performed at the Royal Roost Club in September 1948 and made three recording dates in 1949 and 1950, later known as the Birth of the Cool sessions. This was a precursor of the cool jazz movement (which was to flourish on the West Coast). There was an emphasis on clear articulation, use of dynamics and counterpoint and an uncluttered and imaginative orchestration. This emphasis on tone and the texture of the ensemble was in contrast to the rhythmic dynamism and the virtuosity of the soloist in the frenetic sounds of bebop, and Davis was clearly more at home with this more languid style. Davis recorded with Sonny Rollins, with whom there was an affinity, Jackie Mclean and, in 1954, with Thelonious Monk. By 1954 his rhythm section comprised pianist Horace Silver, bassist Percy Heath and Art Blakey; much of his playing was loosely in the hard bop style (as it came to be known). But these were troubled years for Davis. Professionally he was on the slide, brought about by heroin addiction, and in early 1955 he was imprisoned for failing to pay child support. Although now free of his habit, he had no regular group and was in near obscurity as a performer. An unannounced walk-on appearance at the Newport Jazz Festival in 1955 resurrected his career with a particularly thrilling rendition of Round About Midnight (performed with a Harmon mute). George Avakian, responsible for jazz at Columbia Records, made arrangements for Miles to ‘buy’ his way out of a contract with Prestige by recording five telling albums. These albums include Steamin’ and Relaxin’, and are highlights of the 1950s recorded canon. 1955 until 1959 was a golden period for Davis, with plenty of work and a settled group: John Coltrane (tenor sax), Red Garland (piano), Paul Chambers (bass), Philly Jo Jones (drums). Davis used his rhythm section to create a less cluttered sound; Davis often quoted his dues to pianist Ahmad Jamal who had impressed Davis with his use of space. Milestones was recorded in 1958 with Cannonball Adderley joining the group, which proved to be a trial run for the seminal and hugely popular Kind of Blue, recorded in March 1959, with Bill Evans (and Wynton Kelly) on piano, Jimmy Cobb on drums, Chambers, Coltrane and Adderley. This album typically was made with little or no re-hearsal and very few takes. It seized the popular imagination and popularized the term ‘modal jazz’. This term, often rather loosely applied, refers to the practice of improvising on the classical modes (e.g. the track Milestones is based on two modes – a dorian based on G, and an aeolian based on A), or even on a simple major or minor mode. (In the 1950s it deteriorated in to a lazy and unchallenging method of improvisation when not performed by the very best musicians.) Unflustered by harmonic interruption, melodic lines could be more expansive and unhurried, and there is a simple, raw beauty in Davis’ lines on, for example, So What! Themost famous track from the Kind of Blue album. 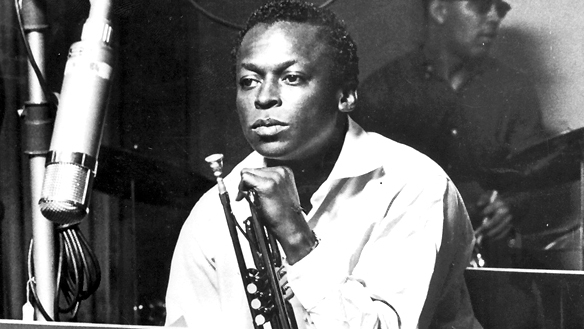 Alongside his small-group work, Miles recorded some hugely popular and innovative albums using arranger Gil Evans and a jazz orchestra: Miles Ahead (1957), Porgy and Bess (1958) and Sketches of Spain (1959) are the most important, but they recorded again in the 1960s, and Gil Evans remained an influence on Davis for the rest of his musical life. This was Miles’ most dynamic and innovative ensemble. It made many riveting albums, and recordings of live performances reveal that if the repertoire tended to be static, the interpretations were anything but, as free improvisatory passages intermingled with head arrangements. Tony Williams, seemingly the catalyst, shifted the time signature and used new techniques to mark the meter; Hancock took jazz piano forward with accompaniments that avoided simple comping (using chords); and Carter sketched out the harmonies, which were used as a prompt by the soloists. “Time, no changes” was the term coined for this approach. The roots of Davis’ innovative work with his quintet in the 1960s lay perhaps in the music he recorded for Louis Malle’s film L’Ascenseur pour L’echafaud, recorded in Paris in one night in 1957. Like the later Jack Johnson album, it is genuine film music, to be heard best in conjunction with the moving image. 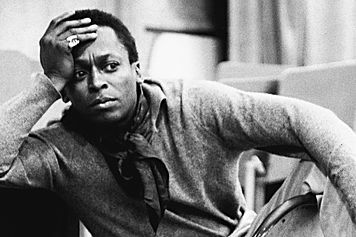 There was minimal preparation time, no notated theme or prepared harmonies, and this experience provided Miles with an alternative way of moving forward without taking on board, what was for him, the anarchy of free jazz. The 1960s was a high point and albums of the period include Miles Smiles, Sorcerer, Nefertiti, Miles in the Sky and In A Silent Way. Chick Corea replaced Hancock, Dave Holland replaced Ron Carter, and electric guitars, bass and keyboards came gradually to the fore; Williams was replaced by Jack de Johnette in 1969, and guitarist John McLaughlin and pianist Joe Zawinul become key members of Davis’ entourage. The popular and commercial onslaught of rock overwhelmed the dwindling jazz audience, and with venues closed Davis needed to chase his audience. As the 1960s drew to a close he was to turn to the more popular idioms of funk and rock, taking the music of Sly Stone, James Brown and, most importantly, Jimi Hendrix, as reference points. By 1970, Davis was playing to huge audiences at rock festivals and, more than any other jazz artist, he was responsible for the promulgation of fusion music, the mixing of jazz and rock forms which alienated much of his core jazz audience. Both Corea and Holland were to leave the group, and Davis relied on a cabal of closer musical associates within a wider circle of personnel. Rock recording techniques, experimented with in the late 1960s, were the order of the day, and albums consisted more of a collage of often isolated snatches of studio-based composition and improvisation spliced together. Under the influence of Paul Buckmaster, taped based pieces were layered over bass funk and R&B patterns, and Davis became increasingly obsessed by distorted effects, such as the wa-wa pedal. Live performances became visually more akin to staged rock performances and increasingly erratic, whilst Davis chaotically directed his band from the keyboard and sometimes barely played. 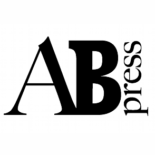 Illness and musical restlessness left Davis exhausted, and he became a Howard Hughes-like figure, retiring from the music world between 1975 and 1980. Davis returned to the musical fold in 1981 with highly successful stage shows until his death in 1991, and although often ill and in recovery for various addictions and ailments, he was feted by a young audience. The music was essentially pop, digestible, and borrowed from the likes of Cyndi Lauper and Michael Jackson. His fans of this period argue that he never captured on record the essence of his live show; but as the 1980s progressed he seems to have lost interest in the actual process of recording, and production work was left for others. This entry was posted on 23rd February 2015 by admin in jazz, Miles Davis, music and tagged jazz, Miles Davis, music.